Want to get married at St. Paul's ? Want to have your baby baptised at St. Paul's ? Want to know how to be baptised as an adult ? Welcome to St. Paul's Church, New Southgate : a place of Christian faith and worship, a caring community, and a beautiful, spiritual building in a vibrant and busy area of North London between Friern Barnet and Bounds Green. We are a church in the modern catholic tradition of the Church of England, administering the sacraments and teaching the faith as we have received them from the Apostles. We are under the pastoral and sacramental care of the Bishop of Fulham, the Rt. Revd. Jonathan Baker, under the provisions of the London Plan and are affiliated - together with a large number of churches across the U.K. - to The Society of Saint Wilfrid and Saint Hilda. The heart of our life is the worship of almighty God, and at the centre of this is the celebration of the Mass. In all our worship we seek to bring to God the best that human inspiration and endeavour can offer. 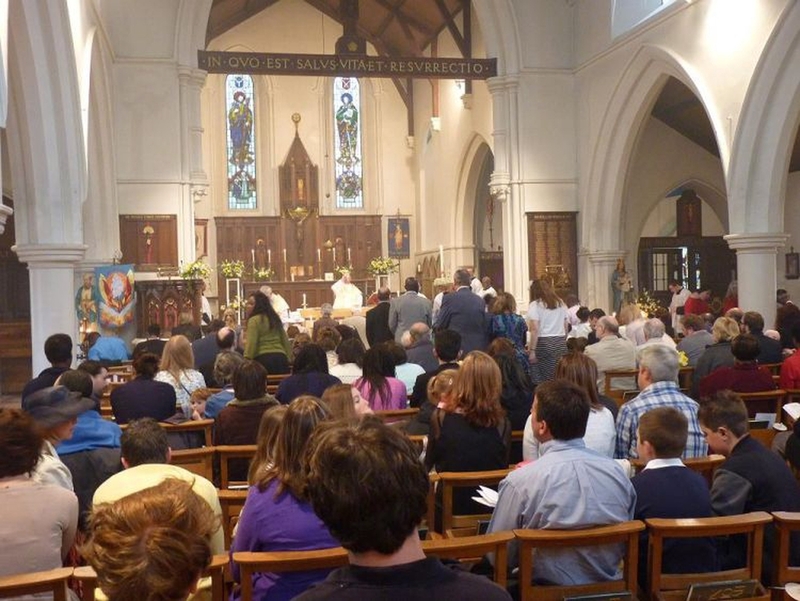 Every Sunday people gather at St. Paul's for our main act of worship of the week, the Parish Mass. Families and children are particularly welcome : Young Church for primary school-aged children runs during term time; we have a monthly All-Age Mass (followed by lunch) on the first Sunday of the month; and baby changing facilities are available in our Church Hall. All are welcome to attend any of our worship, and to join our vibrant and growing community. Further information can be found on this website and our Facebook page.